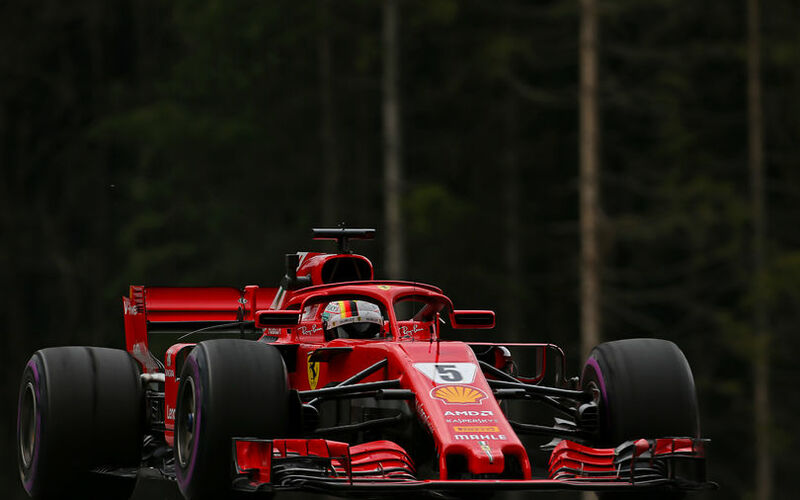 Hot on the heels of the introduction of Mercedes’ impressive upgrade package at Spielberg, Scuderia Ferrari arrived at Silverstone, to the British Grand Prix with a heavily upgraded car in a bid to boost its performance. Although not of the same calibre, Ferrari revealed some interesting upgrades at Silverstone on Thursday while rolling its cars for the obligatory FIA scrutiny. Mercedes, the fierce rival of the Italian team introduced a complete revamp to its car during the Austrian GP, raising some eyebrows due to the scale of the development package. The upgrades of Ferrari include interesting alterations to the floor and engine cover of the SF71H, showing that the team is pushing to continually boost the performance of its car. The most interesting change affects the underfloor of the car. Ferrari have been long pushing with its slot concept, using multiple cuts ahead of the rear tyres and longer, horizontal slots along the trailing edge of the floor. The Maranello-based team, now, has taken a further step. The floor features a third extra slot and a smaller slot is now connected with a longer cut. The longer slots attract attention with their lengths as they run all along the edge of the floor. 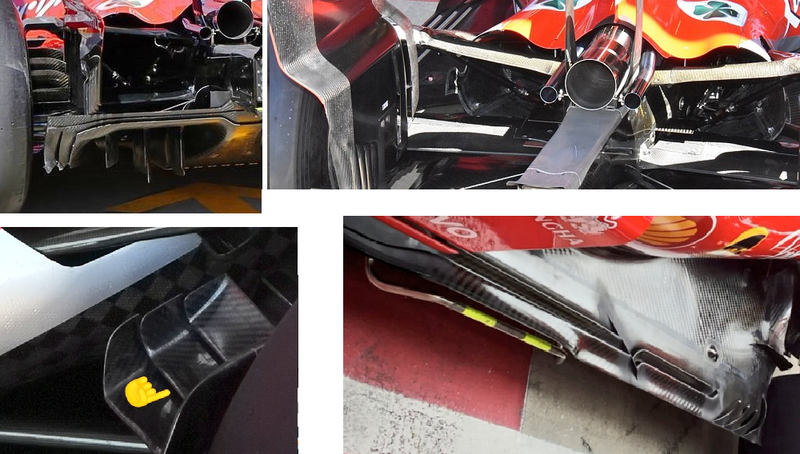 To try to avoid excessive flexing, Ferrari mounted two traverse strakes. The team also went a step further with its cooling configuration, introducing a new design of engine cover which takes inspiration from Mercedes’ rear end of engine cover. The new cover has a wavy trailing edge, featuring a valley on either side, making the rear end of the car tighter. Ferrari’s lower-downforce rear wing also appeared at Silverstone. This design is a much more curved configuration, a spoon-shaped wing which was raced in Baku, Azerbaijan. It is believed to make appearance in Spa, Belgium as well. The team also introduced a new diffusor which features a redesigned outer section. It is not a completely new diffusor, but it has two major alterations. The 'winglet' is now attached to the middle edge flap, not the innermost flap. Also the contours of the edges have changed. The Italian team also introduced new winglets on the rear brake ducts. The new configuration is made up of three plates with significant holes between them which should decrease the drag. Furthermore, the team also experiments with its two rear suspensions, the higher and lower ones to check which one suits better the high-speed track of Silverstone.